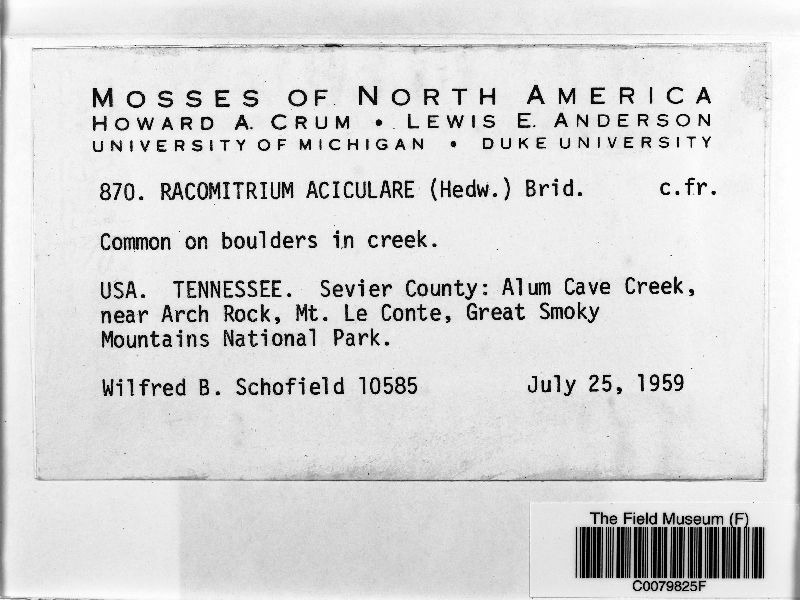 Codriophorus aduncoides (Hedw.) P. Beauv. 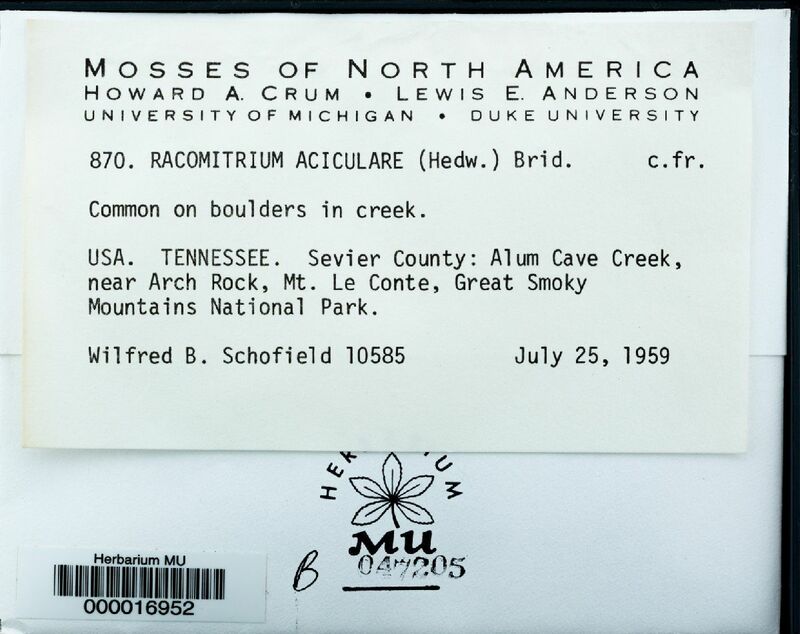 Racomitrium aciculare (Hedw.) P. Beauv. 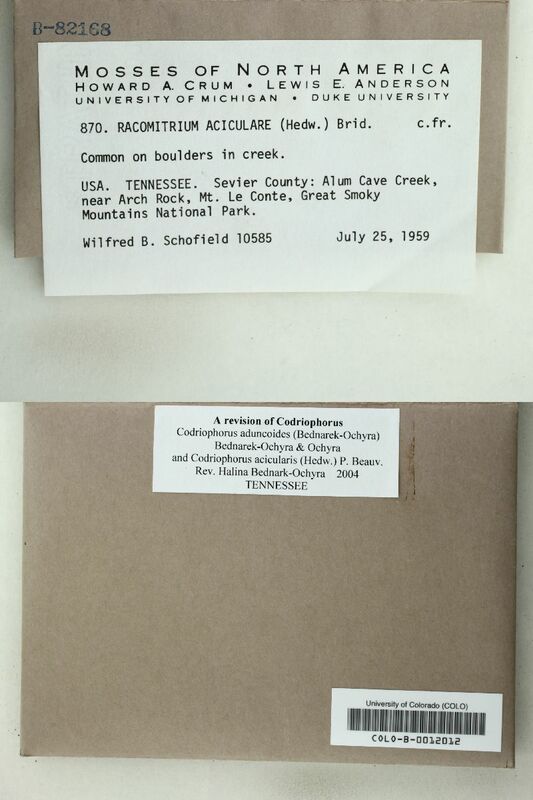 United States, Tennessee, Sevier, Alum Cave Creek, near Arch Rock, Mt. Le Conte, Great Smoky Mountains National Park.